(Text adapted from the History of Great Neck, published in 1984 by Doris Wilson). Aerial picture and video by Michael Gale of Ipswich. 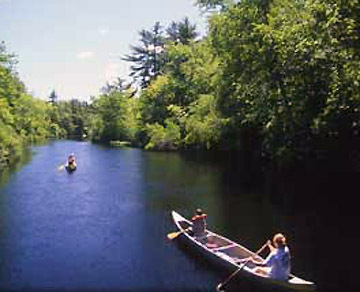 Before the settlement of Ipswich was begun in 1633 by John Winthrop, William Jeffrey, who had come over in 1623, had purchased from the Indians a title to the glacial drumlin which bears his name. By 1639 the whole tract was set apart as a common pasture by the new town, and in 1666 the General Court gave Jeffrey five hundred acres of land elsewhere. After the early eighteenth century, the Necks remained as the only common lands retained by the Commoners. In 1660, there were about four hundred sheep on the Neck, and a shepherd was appointed by the town. Regulations for the cutting of trees existed, but by 1759 the forest growth had completely disappeared. The Neck was also where the fishing catch was unloaded, dried, salted, and stowed on sailing vessels to go to Europe. 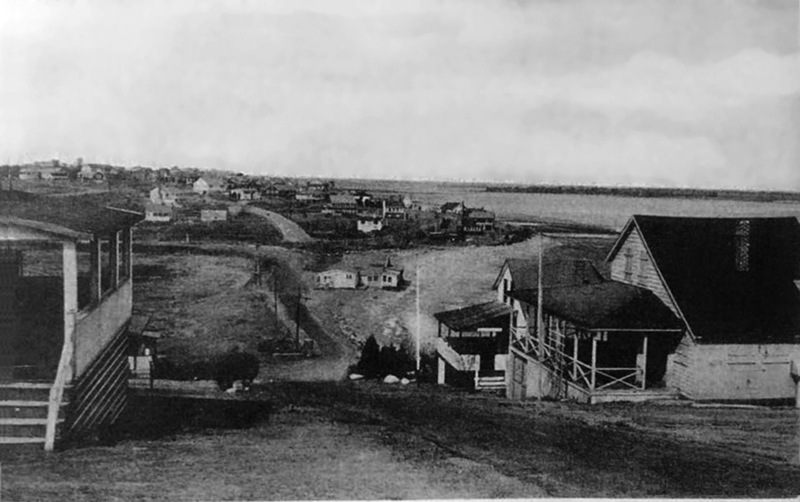 Wharves and fish houses were built along the waterfront, and “stages” for the drying of fish stood on the hill still known as Stage Hill. Ships from many countries anchored in the sheltered covey to take on cargo from this fishing station, which flourished for a century. In 1710 the common lands of Ipswich were divided. Over four hundred persons drew rights in the area of Great Neck, with two-fifths going to descendants of the original settlers and three-fifths to more recent Commoners. In 1788 the Ipswich Commoners voted to grant all their interest to the Town of Ipswich under condition that the Town sell it to pay off the debt which had been assessed to each town to defray the expense of the Revolutionary War. 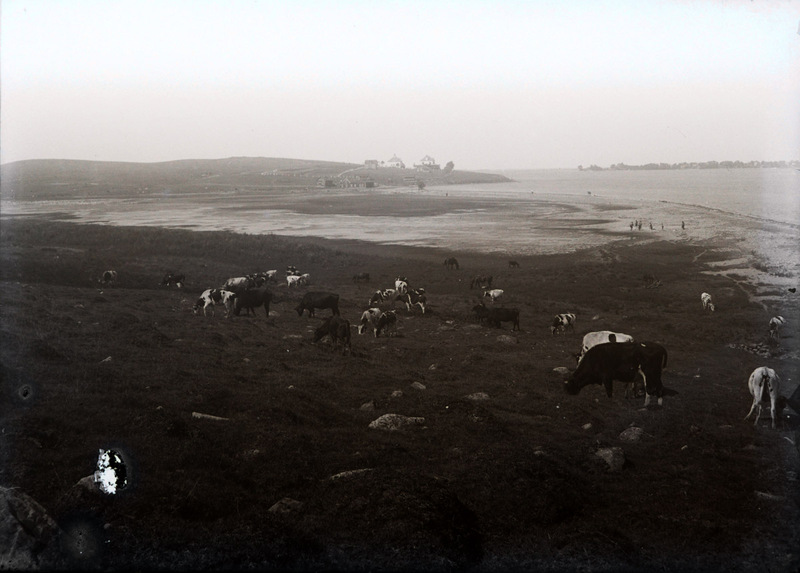 However, Great Neck was retained by the commoners and in 1837 they organized as “The Proprietors of Jeffries Neck Pasture.” Great Neck continued to be used as commercial pasture land for almost a century. Livestock from all parts of Essex County was sent there to graze from May to November. 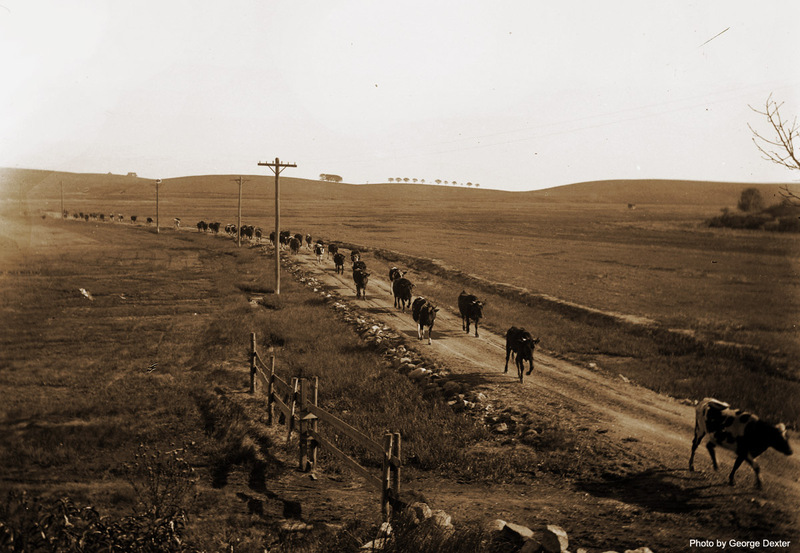 In 1891, the Corporation built Jeffreys Neck Road from the mainland across the marshes to Great Neck. By 1903 Mr. Alexander B. Clark had bought out all the other proprietors and the Town of Ipswich brought suit against him (or technically “The Proprietors”). The Supreme Court upheld the town’s claim of ownership by virtue of the common lands which had been sold by the Commoners to the Town of Ipswich in 1788. The town and Alexander B. Clark reached an agreement under which certain lands were given to the Town of Ipswich and certain lands were granted to Clark. 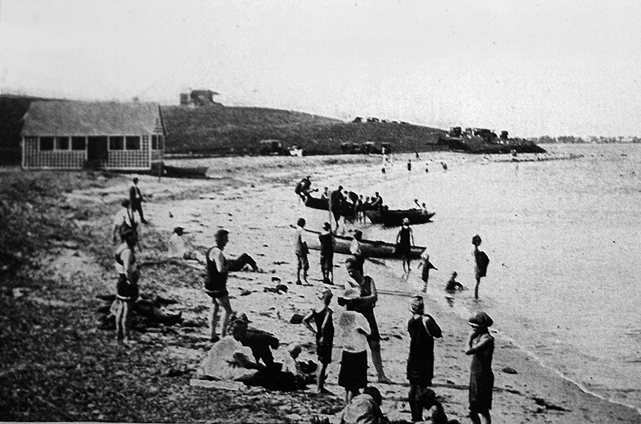 Pavilion Beach was part of the land given to the Town. 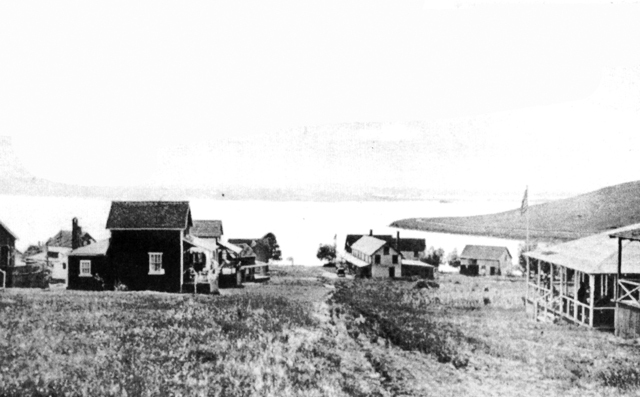 Clark made sites for summer cottages available on his land for lease, but retained all property rights. Cottages had to comply with regulations of size, design, and color laid down by “The Proprietors” and only tenants who met the standards of a “first-class Christian American community” were accepted. The yearly land rent per lot ranged from $25 to $35. 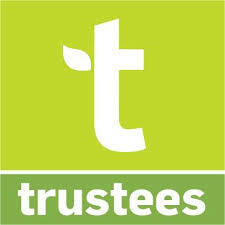 Each tenant also paid the tax levied by the Town on his buildings and the plot of land. 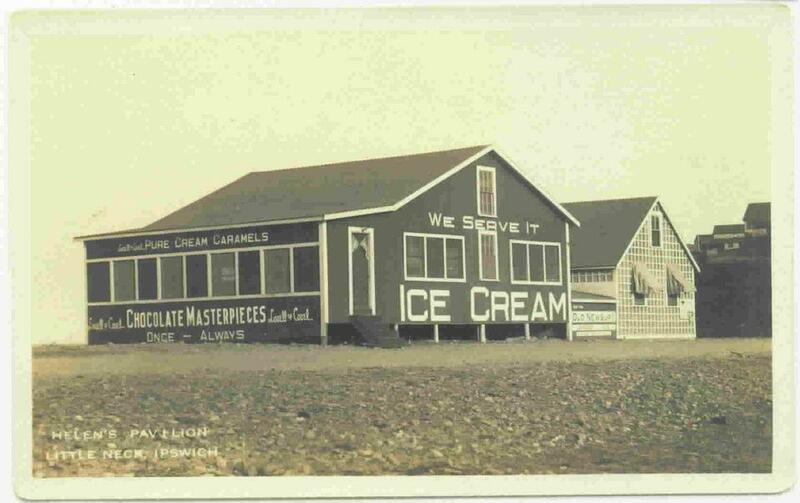 Great Neck passed into the ownership of Mr. Clark’s grandchildren, who continued leasing and later began selling building sites, and eventually the Neck filled with privately owned year-round homes. 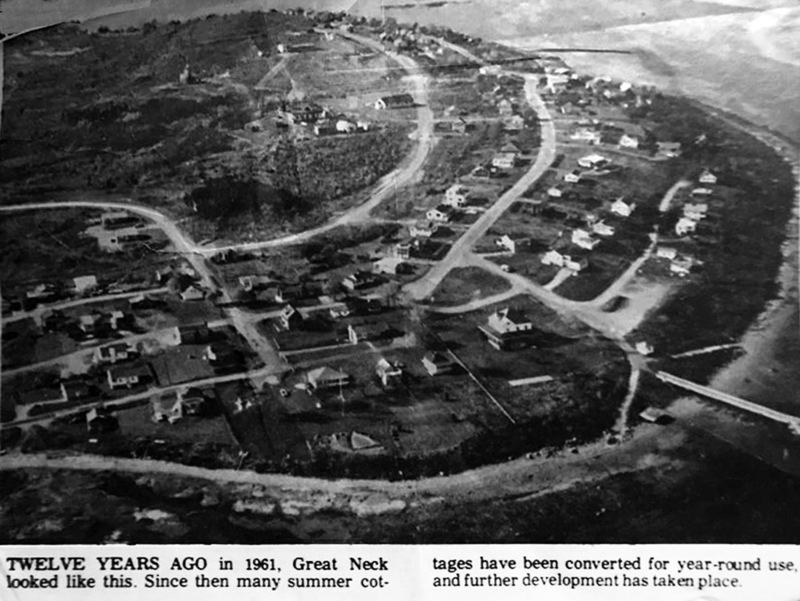 The Association of Great Neck, Inc. was formed in 1975 by Great Neck residents for the protection of its natural resources and to control development. 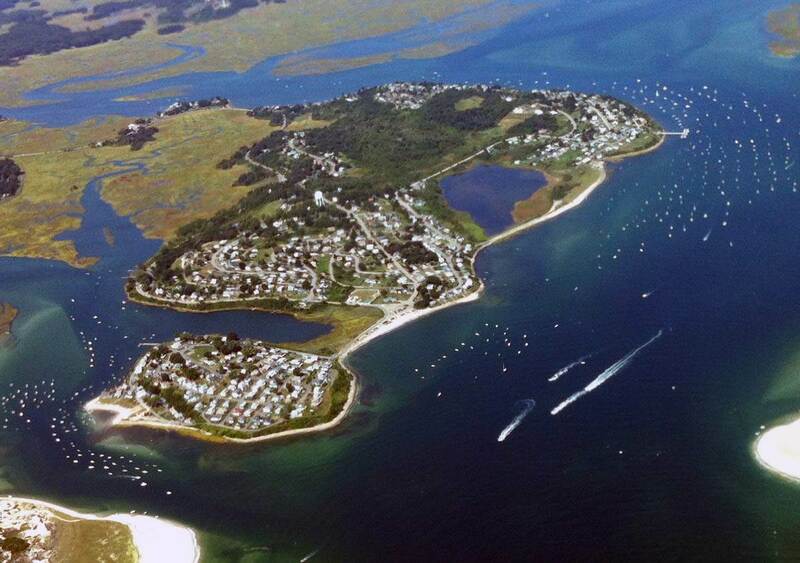 In June 1983, Clark’s descendants acting as “The Proprietors of Great Neck Inc.” deeded Clark Pond, the adjoining beach and surrounding land for recreational use to The Association of Great Neck, Inc. I agree with Martha Sandberg. 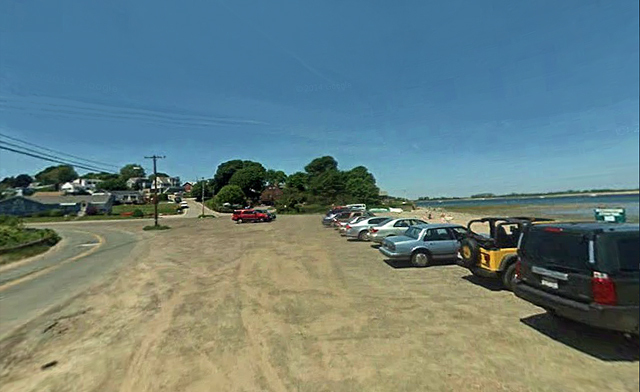 The Nat Simkins painting identified as a view from Pavillion Beach is most definitely River Road on Little Neck. I believe a painting by Nat Simkins is identified as a view from Pavilion Beach. I am sure it is a view from the Little Neck beach parking lot looking up River Rd. toward the point.